Carl Howard has served at the helm of Fazoli's for the past decade. In that time, he has helped lead the brand through numerous challenges and successes, helping it become America's largest fast-casual Italian brand, a thriving and growing franchise with more than 200 locations in 26 states. Another three dozen restaurants are set to open over the next 2 years. 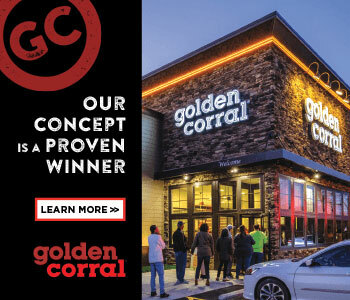 During his tenure, a rebranding effort has brought a fresh, more modern feel to the chain's restaurants and revitalized everything from the decor to the menu. 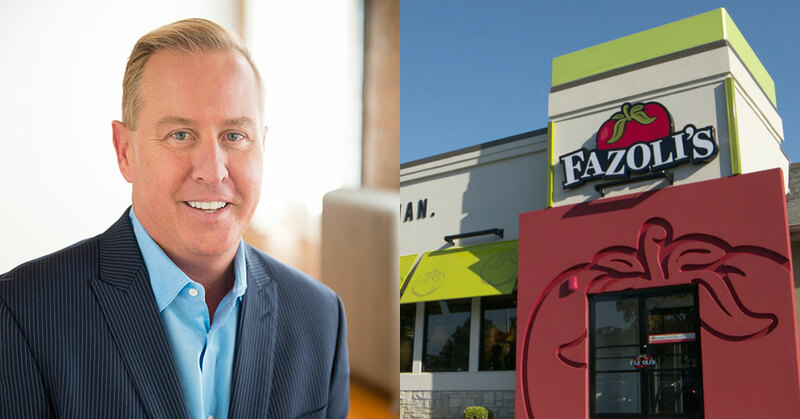 Founded in 1988 in Lexington, Ky., Fazoli's continues to show tremendous sales momentum. Its franchised restaurants are currently experiencing triple the sales growth rate of the industry, have posted 16 consecutive quarters of same store sales growth, and have seen sales remain positive for 78 of the past 82 months, according to Howard. In January, the company announced that its franchised locations closed out December with a 5.1 percent increase in same store sales and a 2.5% increase in guest traffic. Brand growth will be a primary focus during 2018, says Howard, with 8 openings scheduled for the first half of this year. "We are moving into a growth phase again. The goals are to continue to add great franchise partners, keep current with the change in consumer behaviors, and to remain a 'Best in Class' brand!" After more than 30 years in the restaurant industry himself with brands including bd's Mongolian Grill and Damon's Grill, Howard says his goals and standards remain the same: focus on service, quality, and the customer experience. That's why he's constantly thinking about ensuring that every franchisee, company operator, and team member "is passionate about the goal of great guest service. We can beat anybody in our space if we deliver the brand promise." With Howard at the helm, expect a hard-working team from top to bottom to continue growing sales and adding new locations in the years ahead. To continue to foster the relationship between our guests and the brand. Being guest-centric is critical in today's rapidly changing economy. My overall responsibility is very broad, but besides our passion of exceeding our guest expectations we want to provide a great experience for our team members and investment partners. When you can hit the trifecta of happy guests, happy employees, and happy investors it is a very fun role. I am very analytic in nature so I am always digging into new guest data and working on the mathematical equation of our model. Overall, I am a hands-on leader and I like to participate in decisions, but I let my team really drive the brand. Wow! I have had some great mentors but I am most like Ken Cole. Ken was the CEO of Damon's when I was growing up and working my way up in the Damon's system. Ken taught me to be a leader, a great operator, and really explained the sacrifices I would have to make to become truly great. I also know that I would not have grown my career as fast had it not been for my father-in-law Angelo Ron Salvi, who owned several Italian restaurants in Columbus, Ohio, and who had a true zero defect standard. He taught me to be passionate about excellence: Every Dish, Every Table and Every Day. Nothing less was acceptable. There are so many others, like Mike Tortoise, Will Liphart, John Votino, and several more who were influential in my career. Making sure that every franchisee, company operator, and team member in our business is passionate about the goal of great guest service. We can beat anybody in our space if we deliver the brand promise. No one in our industry can deliver our experience at a $7 price level. We try to treat all of our people with respect, and we want to hear their thoughts as well. I think just the way we communicate to our teams helps build a culture of trust and commitment. Where is the best place to prepare for leadership, an MBA school or OTJ? How do you make tough decisions? Sometimes it does come down to me making a final decision, but that is rare. Our senior team works so well together--we are very collaborative and we all just want to win. We take that same approach with our franchisees, and we want to hear their input on key decisions as well. Both. You do not need to be a jerk or remind everyone you're the CEO of the organization. They get that, so being very humble and willing to talk to anyone in our organization is important. I think I have accomplished both. Find a good mentor, work tirelessly when you are young, self-educate, set career and personal goals, and always have a good attitude. It is very transparent and organized, and I expect or want the same from the team. No false agreements can exist between my team and me. The team and I want to win. We set goals, we have places we want to go, and we have fun in the process. A group that can respect each other, all rows together, and pushes each other for greatness. Also, a great team that lives under the no false agreement structure and is focused on the right priorities can really accomplish great things. I am a tireless worker and I think my team appreciates my commitment. If they need an answer to something, they know they can stop in my office, call, or email me and I will get back to them very quickly. I also live under no false agreements, and that creates a good culture because everyone knows where they stand at all times. Do you read management books? It's been a while, but I was always a huge Zig Ziglar and Jim Collins fan. So much of my job is rewarding, but I am most happy when I can help people rise in their career or see my team and franchisees make a lot of money. Eight-ish. I'm not the first in, but I am on email and text by 7. No, wine gives me a migraine and no one since the '70s drinks at lunch. Can we skip the exercise question until after the holidays? I do occasionally after a board meeting or franchise meeting, but not very often. They see me enough and have families to go home to, as do I.
I listen to 10 to 15 books a year on Audible. It is a great way to end your day before bed. Right now I am on Harry Potter and the Deathly Hallows. It is more difficult than ever before because everyone is plugged in 24/7. I try and go quiet and wind down my work afternoons on the weekend. Somewhere warm. Grand Cayman is one of my favorites, but we try to hit a new island destination once a year. Also, Italy is a favorite and I cannot wait to go back. Anytime someone exceeds the guest expectations and on work anniversaries. We are now moving into a growth phase again. The goals are to continue to add great franchise partners, keep current with the change in consumer behaviors, and to remain a "Best in Class" brand! We are moving into a stay-at-home economy and we are working on every possible way to allow our guests to order and receive our products. I am not sure we spend a lot of time measuring success as we are too busy working on the next brand evolution. For me it is seeing someone advance to a new position in our organization or leave for a better opportunity. That is true success when you can help change someone's livelihood. Marrying my wife Rocchina. Not only is she my biggest fan, but she is so supportive, knows the industry better than most, and I would not have had this level of success without her. We will continue to work on enhancing the next level of the consumer experience. We will continue to work hard to be great, grow sales, and add new locations. It is a very fun brand!